This postcard from PostSecret made me laugh, because I feel the same way. Men who know their keyboard shortcuts turn me on. It’s true, so if you’re thinking that all this time you spend learning how to code is wasted on us girls, it’s NOT. We notice when you use a quick keyboard shortcut instead of the menu. We notice when you can type 70 wpm. We notice and to be honest, it makes us feel a little flushed. HP Printer Conspiracy: Is Your Printer Programmed To Kill Itself If You Refill Your Ink Cartridges? It’s commonly known that printer manufacturers make money from selling ink cartridges, not from making the printers. I’ve even heard that they sell the printers at a loss in order to “get you hooked” on their ink. 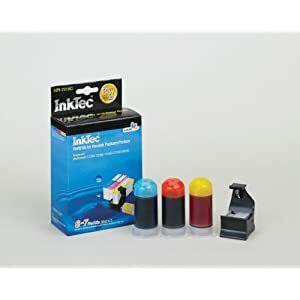 Of course, there are options for people who want to enjoy their ink jet printers without shelling out the big bucks for the cartridges. You can refill the ink in the cartridges you already own. Here is a video showing you how to do it. I’ve done this on my HP Printer and it has worked rather well. I used the Inktec Refill Kit that I found at Amazon.com with some syringe needles. I inject the ink into the cartridges and the printouts I had were just as beautiful as the ones with the HP ink. The HP ink was never water resistant and neither is this replacement ink, so I’m just as “happy” with my inkjet printer with the refill ink as I was with the original ink cartridges. I absolutely adore these new commercials from Apple, highlighting their Apple Geniuses. They really show how an Apple Genius can be a calm voice in an electronic storm. Firstly, Google has made embedding a YouTube video is much easier than it used to be. YouTube will create the embed code for you if you click the Share and Embed buttons. You can easily edit the width of the video, copy and paste it into your blog or website. Adding the command that starts the video at the 1:38 mark, however requires a little tweaking. Look at the way this embed command is different than the one YouTube gave me. Did you notice the #t1m38s that was added right after the link to the video? That is how you start the video at the specific spot. The 1m38s indicates the minute mark when the video will start. That link will open up the video at the exact spot where the fireflies start getting interesting. The way you create it is to right click on the video when it is paused at the spot you want and choose “Copy video URL at current time.” That will give you a URL that easily links to EXACTLY were you want the video to start. The next time you want to link to or embed a video that has WAY too much introduction, here is a handy way to start the video EXACTLY when the video gets good. Depending on how dusty your home is, this may be a shocking surprise or a nod in understanding. When we lived downtown during the I-80 construction, our home was covered in dust EVERY day. No matter how often I dusted, within hours, it looked like a haunted house again. Our computers suffered as much as my fireplace mantel, so we took a can of air and blew them out every once and a while. That huge cloud of dust that came out when they first started blowing on that PC was a familiar occurrence to me, but it was FAR more than anything we had ever experienced. Next time you curse your computer for running improperly, take a moment to blow all the dust out of the thing and see if that helps at all. It used to be so difficult to set up cameras in your house. CCTV was difficult to install and difficult to monitor. Even more irritating, you had to make sure to change the VCR tapes regularly. Fast forward a few years and it suddenly is easy enough for anyone to set up a hidden camera. When Dru Ackerman broke her hip several months ago, a neighbor offered to help her. Unfortunately, her “friend” was also helping herself to Dru’s pain medication. When the woman noticed that some of her pills were missing, she set up a hidden camera in her house to see what was happening. She caught her neighbor red-handed with enough video footage to get her arrested. 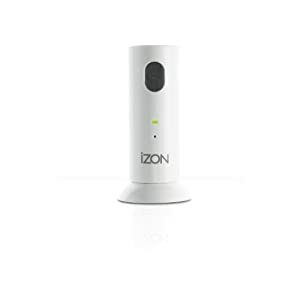 She used the Stem IZON Remote Room Monitor, but she could have used the webcam installed on the computer on her desk. There are software options that allow you to monitor your home with your webcam and they will even upload the video to a remote server so if your computer is stolen, you will be able to see who did it. The next time you are feeling paranoid about leaving your house, whether it’s just for a grocery trip, like Dru, or on an extended vacation, look into home monitoring solutions. There are so many options available right now that you’re sure to find something to give you peace of mind. I was interested in these Electric Lift Tables from Anthro. The video for them makes them look like the perfect table for a person who wants to work while standing or sitting. For those of us who get stir crazy sitting all day, a desk that can change like this would be a godsend. Unfortunately, when I looked at the prices in their catalog, the least expensive of the desks is $2395. That’s WAY more than I’d like to spend on a desk, even if it adjusts at the touch of a button. For that price, I can buy the best laptop money can buy and move it to two different desks with different heights. I love the idea of an adjustable desk, but I’m not willing to shell out that kind of money for one.